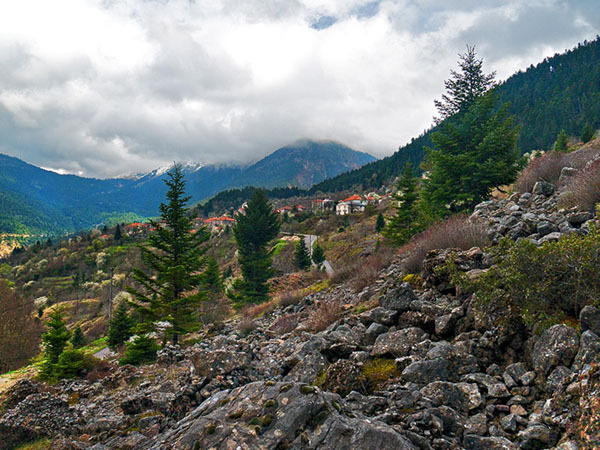 The picturesque identity of the village consists of stone-built manors with tile roofs between tall pine trees, flowing waters, bridges and a view of the mountains. 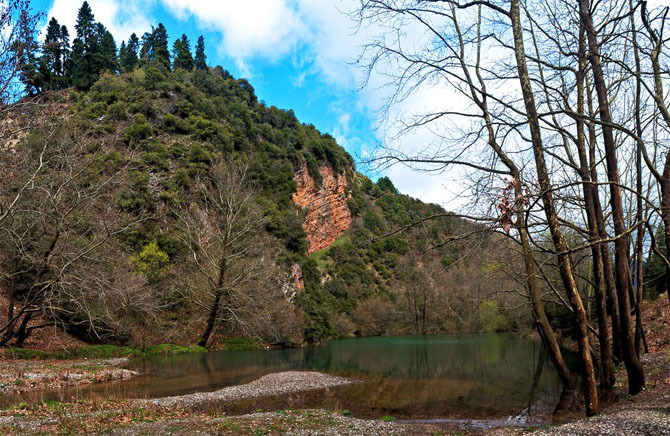 In the foothills of Chelidona you will meet Palio and Neo Chorio. 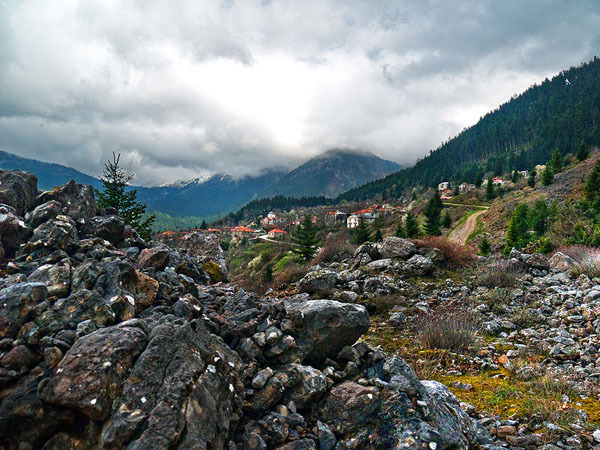 A large part of Palio Chorio was destroyed in 1963 by a landslide and as a result its residents were forced to find shelter in a nearby area and so Neo Chorio was established. It is less traditional, more touristic but as beautiful as Palio Chorio. 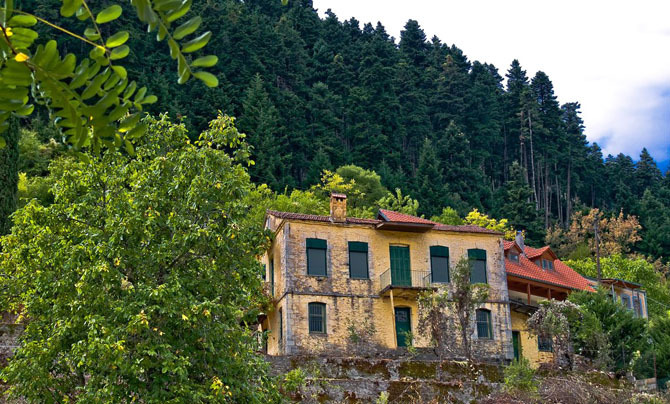 The fine choices for food and accommodation attract lots of visitors in Mikro Chorio. 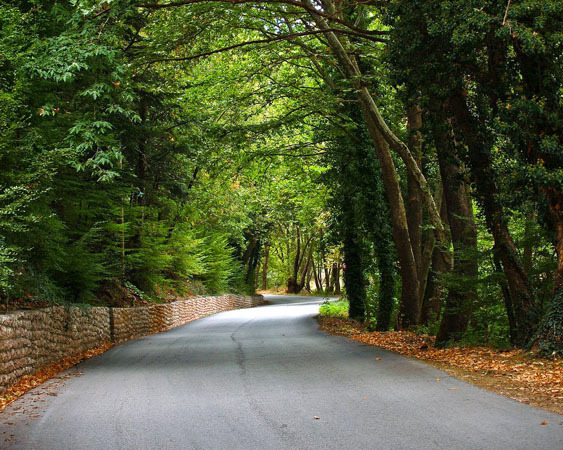 A few meters before the first houses of the old Mikro Chorio there is a dirt road that after 200 meters leads to a lake. It is a pond that is filled with water in winter and spring. 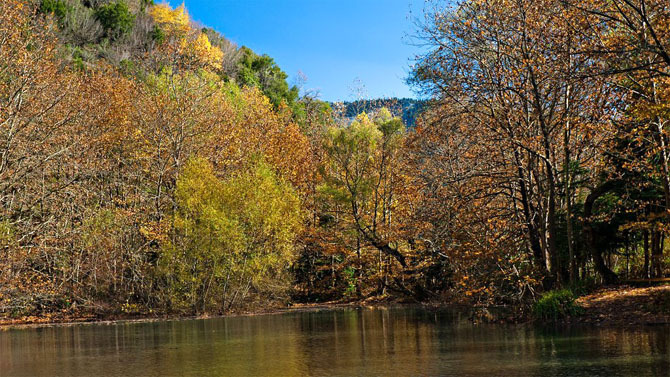 In combination with the dense platanus forest, it creates an idyllic place. It is suggested that you visit it in the afternoon and enjoy the green-colored water as well as the sounds of the forest and birds.